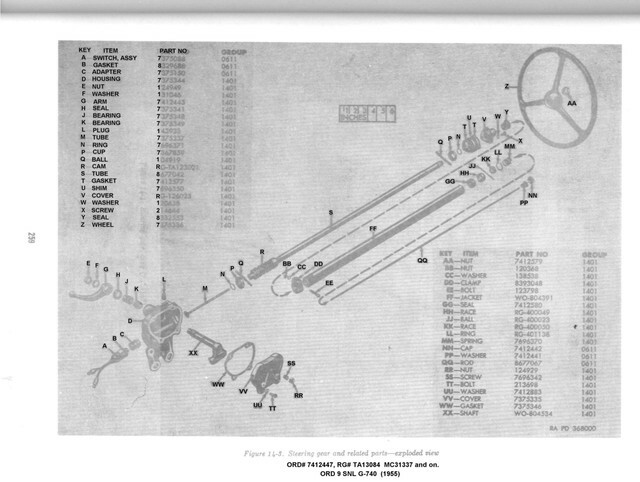 Where might I find a clean bright readable copy of page 259 (Steering gear and related parts-exploded view) (Figure 14-3) of the ORD 9 SNL G-740 Manual??? I apologize , I should have been clearer in my post. I have viewed about 10 websites (including this one) ( my favorite! ), and that particular page/figure is too dark to read. I even ran it through Photo Shop with no luck. I am sure this page in an "original print version" is clean and bright! That is what I am looking for. I am willing to buy an original copy if necessary. A very gracious fellow member sent me a clean image and I wanted to thank him. It's the 2nd album on the 1st page of "Member's Albums"
If your M38 had the earlier steering gear the illustration in the 1951 ORD 9 is very good. I was sure I looked everywhere but as usual, you continue to enlighten me on these M-38(s)! Circling back to this post, where can i find a copy of the 1951 ord 9 ?? I am glad you got a clear copy. The copy that I had to scan was not good on that image. 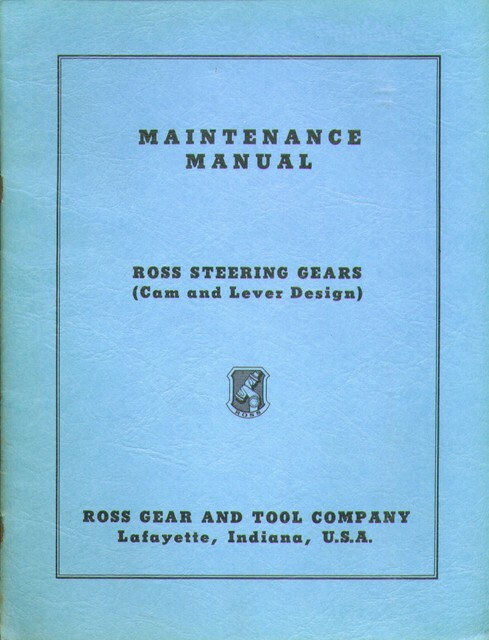 Most of the manual pages I scan I am able to photo shop to get a better image. Sometimes you have to go with what you have though.